The US and UK fear some kind of an arrangement between the EU and Russia, and are attempting to use Poland and Hungary as a wedge to prevent an understanding between Moscow and, in particular, Berlin, says independent journalist and commentator Martin Summers. 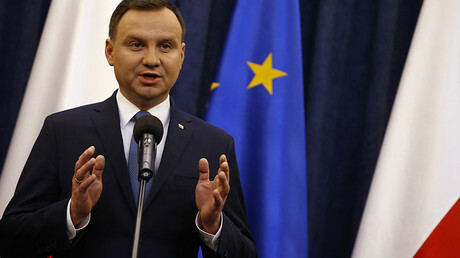 The European Commission is meeting Wednesday to review moves by Poland’s new conservative government. 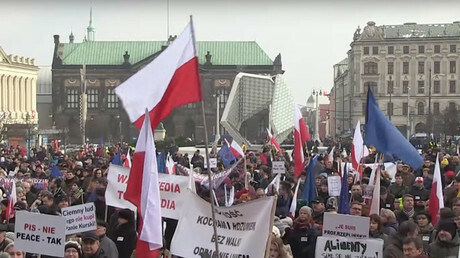 It has been organized in response to Warsaw’s reform of the Constitutional Court which reduced its efficiency, and an imminent reform of the media that gives the government control over public broadcasters. 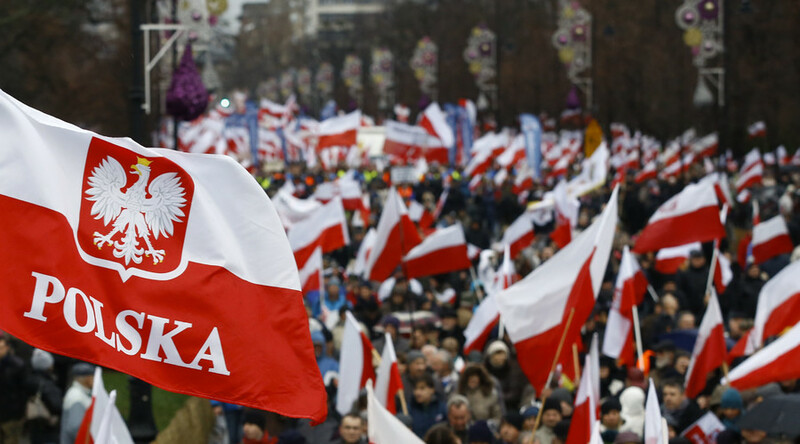 Poland has been also criticized over another new law that gives the state power over the Supreme Court. As the rift deepens, Western media is labeling Poland as Europe's new headache, saying its democracy is crumbling. On Sunday European Parliament President Martin Schulz, told a leading German daily that moves by the Polish conservative Law and Justice Party (PiS) constitute a "dangerous 'Putinization' of European politics,” drawing a comparison to Russia’s President Vladimir Putin. Warsaw is not alone in its stance against Brussels. 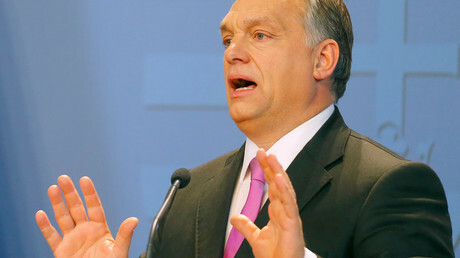 Hungarian Prime Minister Viktor Orban has been criticized by the EU on a number of occasions. His views on the migration crisis have driven a wedge between Hungary and the bloc. And in support of Poland, Orban said Budapest would block any sanctions against Warsaw if necessary. RT: This is really a very unpleasant quarrel going on between Poland and EU. Why do you think the EU is using this “Putinization of Poland” thing in the debate? Martin Summers: I think it just shows the low level of political discussion that there is in Europe. There are problems with what they call “the right wing regime” in Poland is trying to do with things like controlling the Supreme Court and the TV ... But to claim that that is similar to what is going on in Russia is just a very narrow and rather limited way of looking at it. What you’ve got in Poland is quite a big division in society between the more conservative and more liberal elements which you don’t seem to have in Russia. The government in Russia has much wider popular support than the current right-wing regime in Poland. And the regime in Poland has got internal opposition of a liberal nature. Which means that their actually they haven’t got the powers they would like to have. To compare them with what is going on in Russia is not really accurate. RT: Is everything which irritates Europe is being likened to Russia and Putin now? Isn’t this ridiculous? These tensions are a function of the geopolitical problems that we are facing: the big battles between the Americans and the Russians. This is small squabbles involved in that bigger picture. RT: The degree of irritation is really huge on both sides. Do you think Europe is angry because Poland refuses to play by its rules? MS: I think there are a number of tensions emerging. What the Americans are trying to do is encourage countries like Poland, for example, to take a more independent line from say France and Germany vis-à-vis the crisis in Ukraine. It is not just a question of the EU. You also got the US’ interests here. Right-wing governments in Eastern Europe are being manipulated frankly by the Americans. But I think the Orban government which is showing support for the Kaczynski government in Poland over this face-off with the Germans, their position on Ukraine, for example, is not very satisfactory – either to Berlin, to Washington or to London. So, the tensions are actually multifaceted and it is much more complex than a straight-forward East European – West European split or even just a European and the Polish split. RT: What methods can the EU use to somehow make these rebels follow its policies? Will it succeed? Countries like Poland and Hungary ought to be acting as a bridge - that’s what the Ukrainian government ought to be doing - acting as a bridge between the West and the East. But instead they are being used as a wedge by the Americans, in particular, to prevent a German and Russian understanding. This is what the real significance of this kind of squabbling is about. The Americans and the British are scared the EU would come to some kind of arrangement with Russia. And encouraging this kind of objectionable attitude in Poland and Hungary is a part of the US strategy to keep the European Union in line.